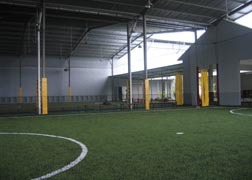 The most luxurious 2 futsal pitches located in Makassar. 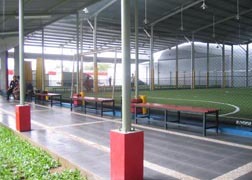 By using the top quality grass - Domo VS Excellence 50, this venue also provide a great garden view and cozy coffee shop / lounge to rest after/ before you play. 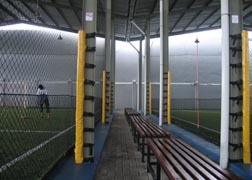 Also check out their 6 badminton courts with International standard certified material.